Give the Gift of Snow with our snowsports lesson package! Give the Gift of Snow with our great value lesson package! Save with our limited edition Gift of Snow lesson package! Stuck for the perfect gift for someone you love this winter? Want to get them slope-ready in time for the first snowfall? 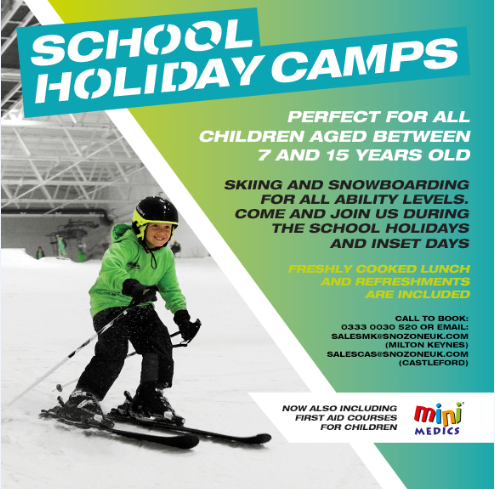 Why not check out this amazing, limited edition Gift of Snow snowsports lesson package*! or pop in to see them in Basingstoke! Previous Previous post: Your chance to WIN with Snozone & TOG24! Next Next post: Ready, Steady, Snow!